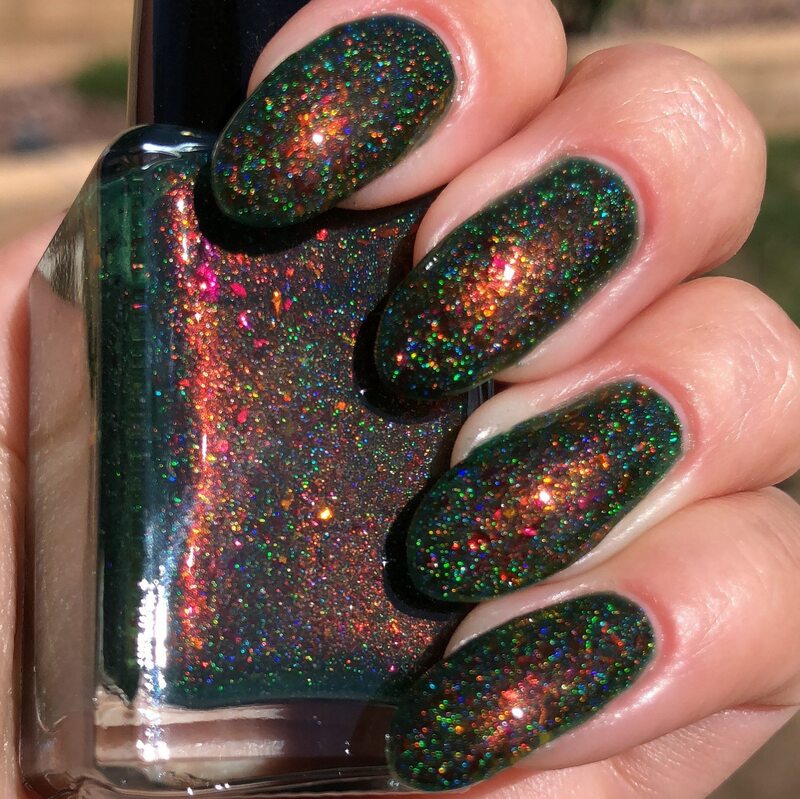 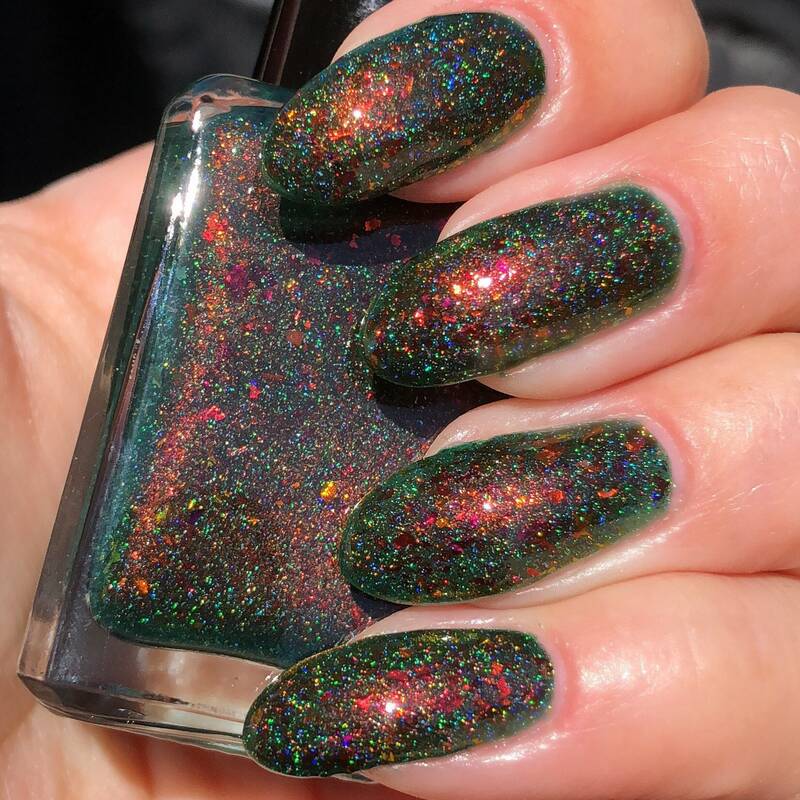 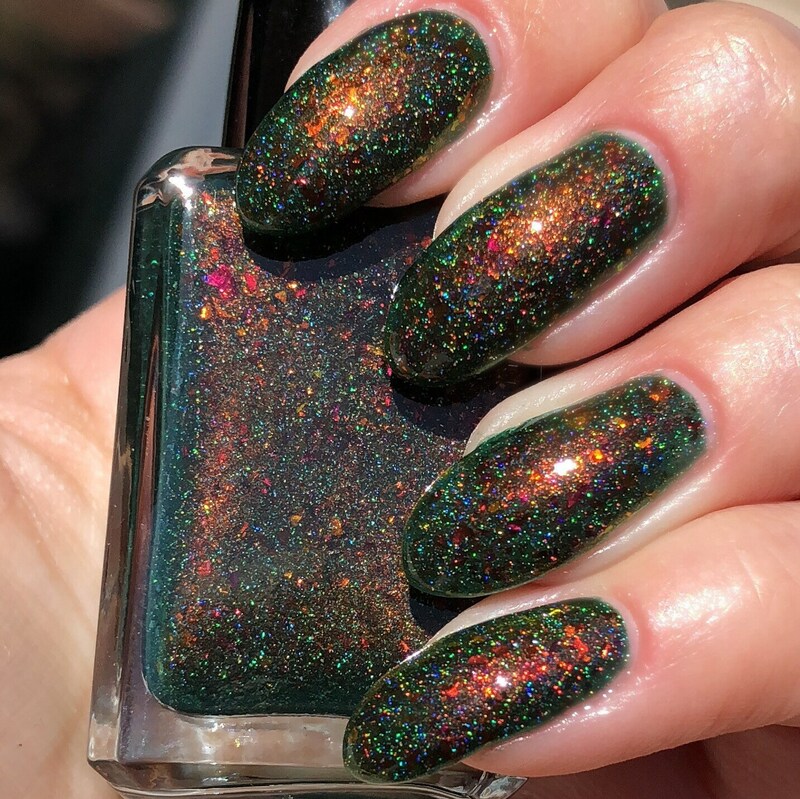 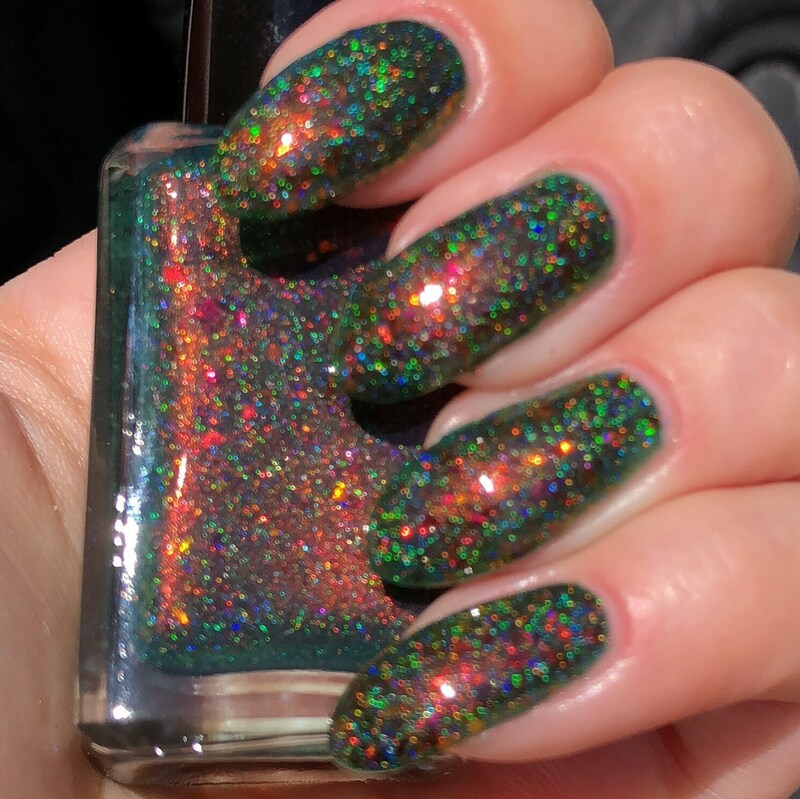 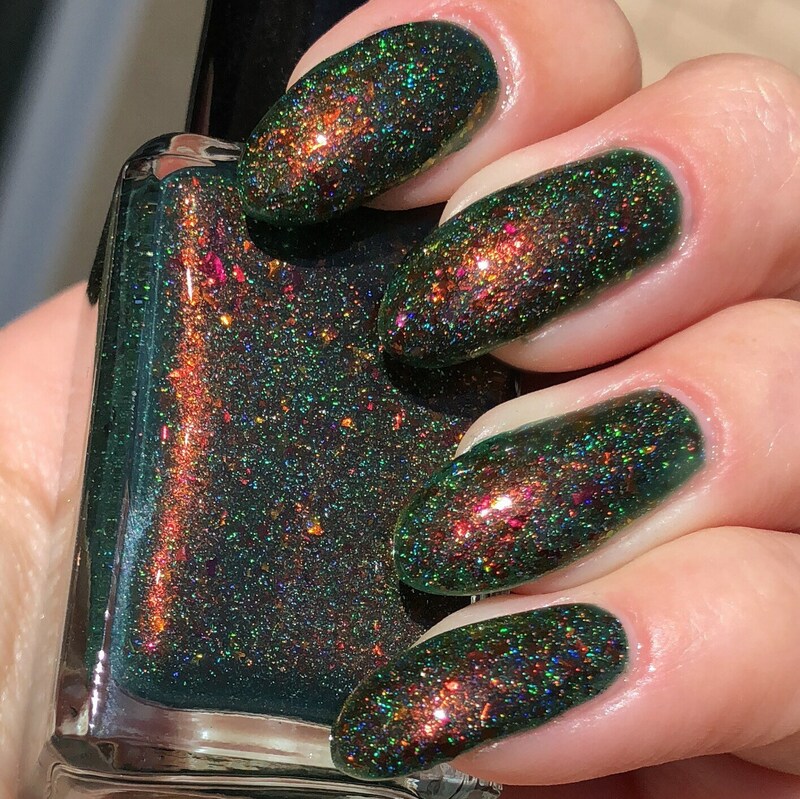 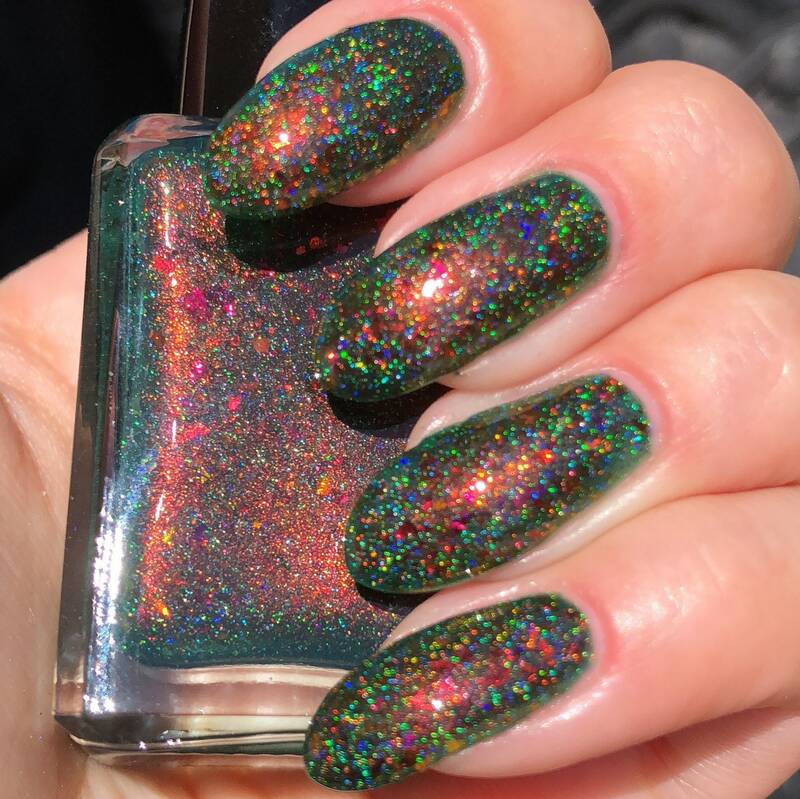 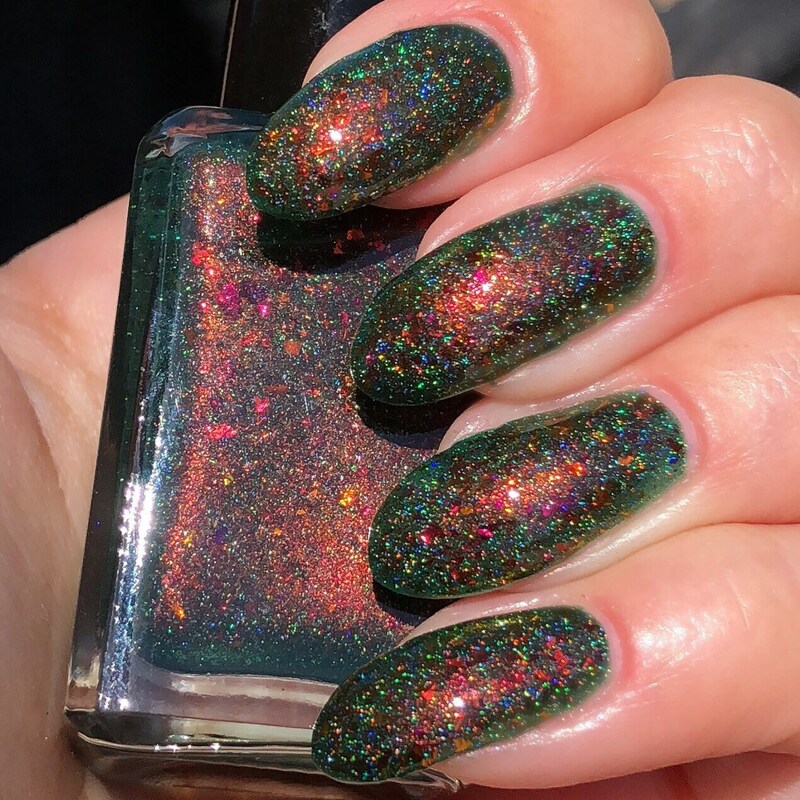 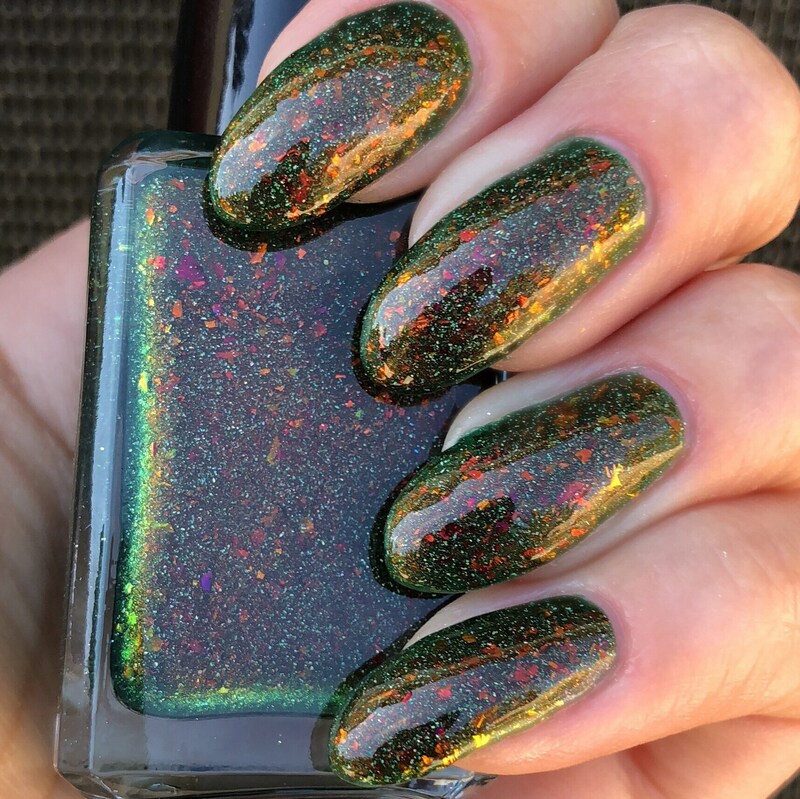 This is a deep green color with holographic micro flakes, red duochrome shimmer and flakies. 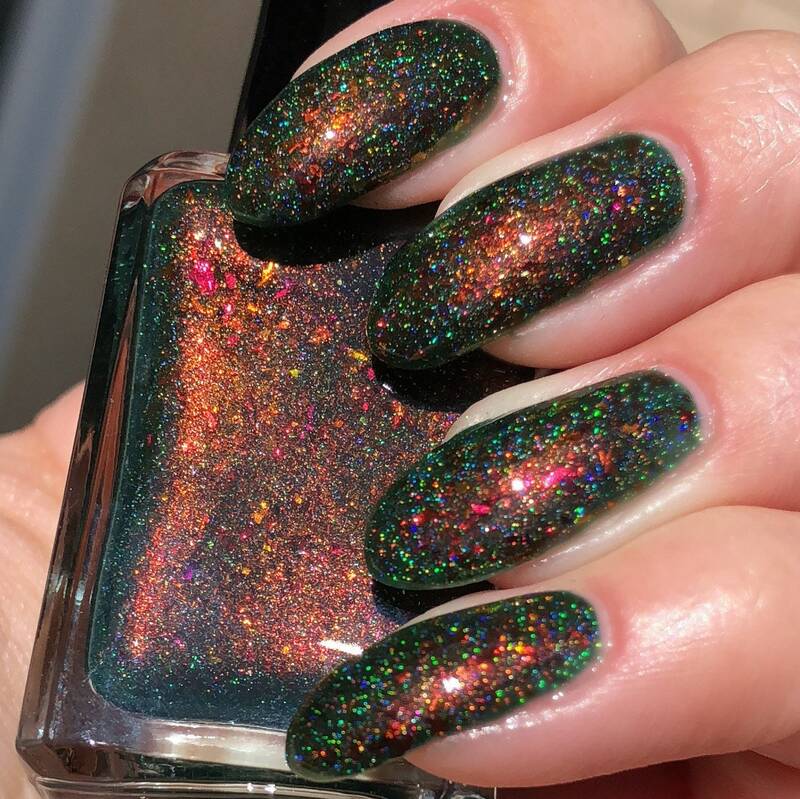 The swatches show three coats with top coat. 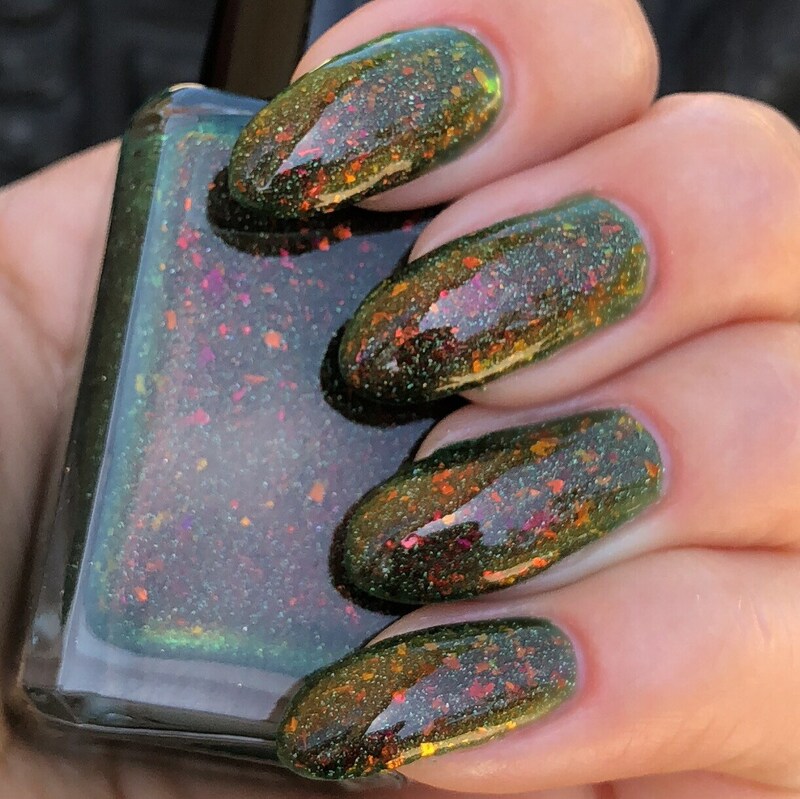 Full size, 10 Free, hand mixed polish.